Ciara Eastell, Chief Executive of Libraries Unlimited, has received an Honorary Doctorate of Letters from The University of Sheffield. Ciara, who heads up the Devon-based charity that is responsible for running Devon and Torbay Libraries, studied librarianship at the University’s Information School in 1994. Since graduating, she has worked as a librarian in Gateshead, Somerset and Cambridgeshire before joining Devon’s library service in 2008. Ciara was awarded an OBE for her national contribution to public libraries and has served as the President of the Society of Chief Librarians (SCL), a voluntary role she held for two years until June 2016. 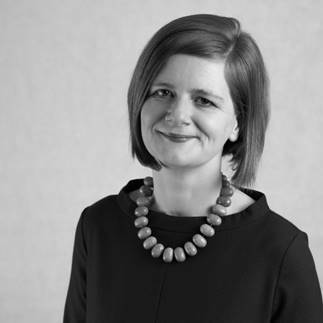 Ciara has also been a member of the national Leadership for Libraries Taskforce and is currently a member of the British Library’s Advisory Council and the National Council for Arts Council England. In 2018, Libraries Unlimited was shortlisted for the Arts, Culture and Heritage category in the 2018 Charity Awards, became one of the first library services to achieve Arts Council England National Portfolio status and was named one of Nesta’s 50 New Radicals working to change UK communities for the better. Ciara received the accolade alongside award-winning BBC presenter Dan Walker; Stuart Green, a leader in the field of digital technologies; Chris Watson, Sheffield born member of the influential band Cabaret Voltaire; Professor Ian Cooke, former Chair of Obstetrics and Gynaecology at the University of Sheffield and Ann Cairns, the Vice Chair of Mastercard. Ciara said: “I am genuinely honoured and proud to have been awarded this honorary doctorate, not least because it comes from the university where I studied almost 25 years ago and because it comes from a city which was so welcoming and friendly and where I made some terrific friends. For more information about Libraries Unlimited, visit librariesunlimited.org.uk. Follow Libraries Unlimited on Twitter @LibrariesUnLtd orFacebook/LibrariesUnlimited.